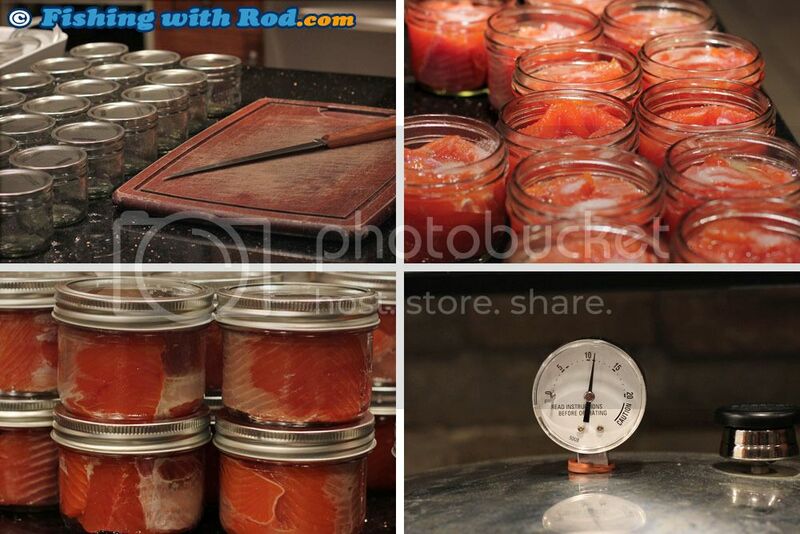 Trying out canning our own coho salmon for the first time last night. Nice. Did you add any salt or lemon juice to the jars? Some canning recipes call for it, but I never bothered. Just went au naturel with the fish. It was our first time doing it so we followed someone else's recipe. 1/2 teaspoon each of oil, salt and vinegar. It's always fun canning stuff you collected yourself. We also add a slice of raw garlic at the bottom of the jar and one slice on the top of the fish. It give it a nice flavouring if you like garlic. My Aunt adds a big shot of ketchup at the top and this also transforms into a nice flavouring. Just a pinch of salt for me. Anything more and it is too much for me. You use a pressure cooker? How long can you store the canned salmon before it goes bad? They say 2 years, I've done 5 years without any problems. 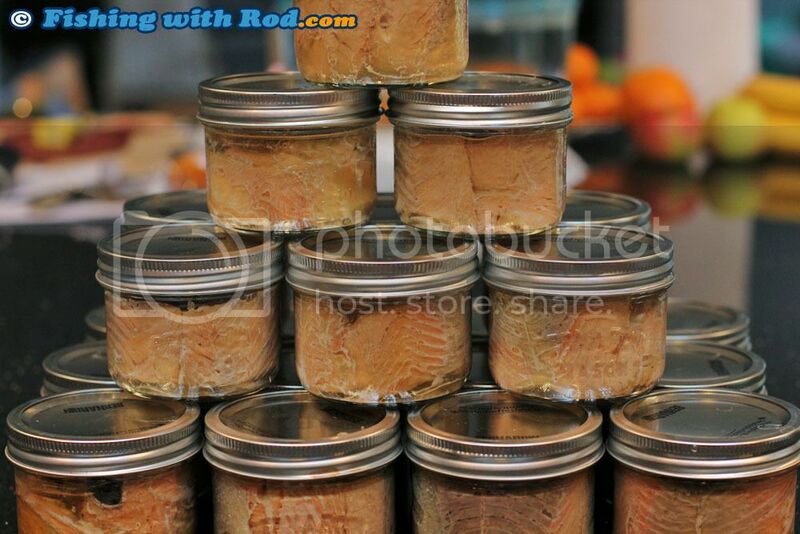 The best canned salmon is your favorite brine, I use dry brine, then a quick 2 hour smoke, then can. Sometime I will add none smoked salmon to the same can about 50/50. The canning process amplifies the smoke flavour. We've only used open bath for canning. My wife is scared of pressure cookers and with a lifetime of canning that has been traditionally done this way in our families for generations, why change. Sure it's slower, but this way we don't worry and we've always had excellent results.